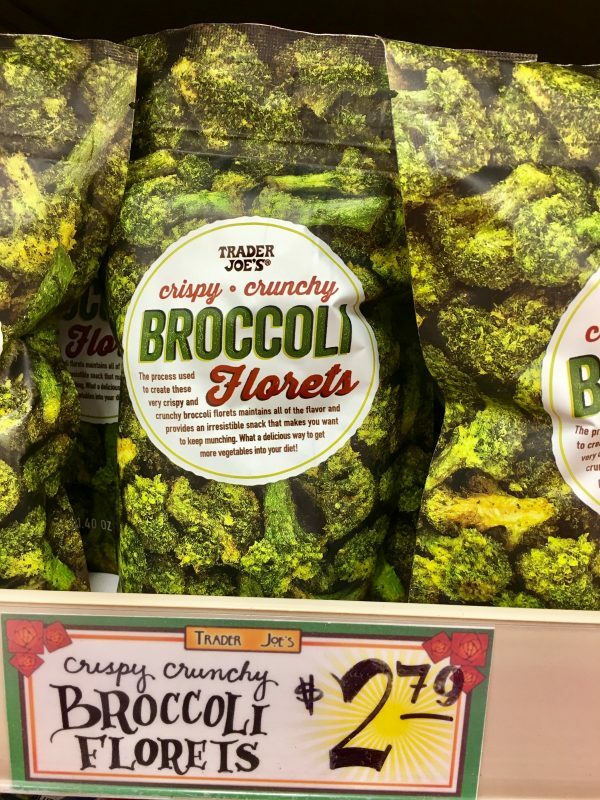 Who doesn’t love Trader Joe’s?? It’s fun, the employees are happy and the food is great (and priced great too). I often get asked what I buy at the grocery store. I’m not sure how to answer without rattling off my shopping list so I figured I would show you. 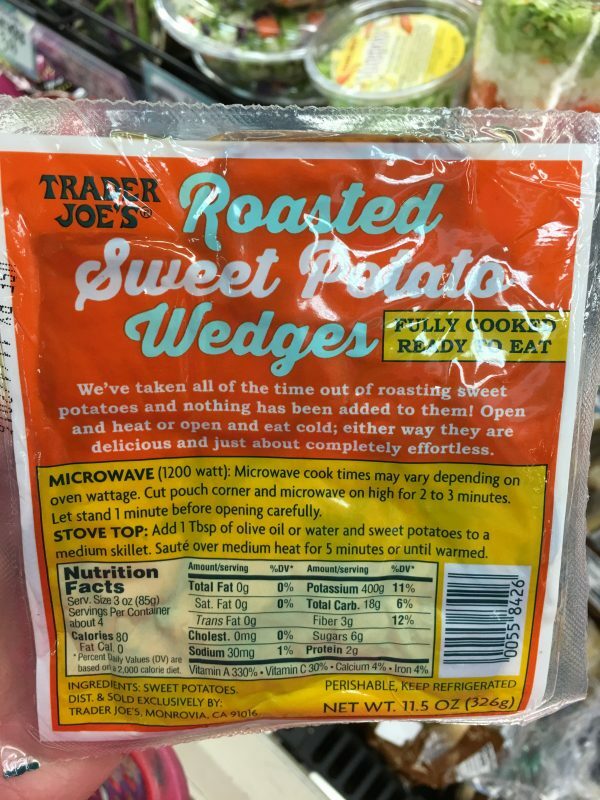 This post is all about what I get at good ol’ TJ’s. I do shop at Whole Foods once a week and I also go to “regular” stores like Vons or Super King too. 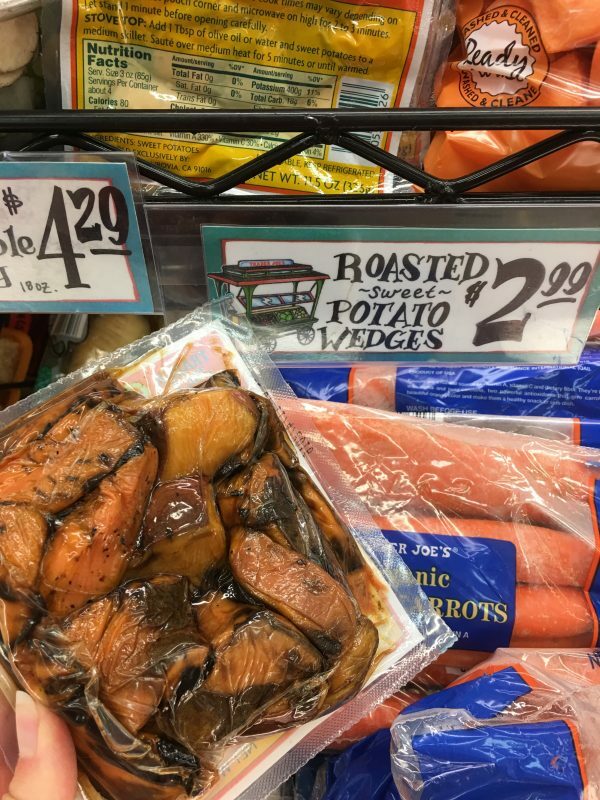 In fact, most produce I buy at Super King because of the variety, amazing prices, ability to buy exactly how much I need and the selection of fruits and veggies that aren’t carried elsewhere. 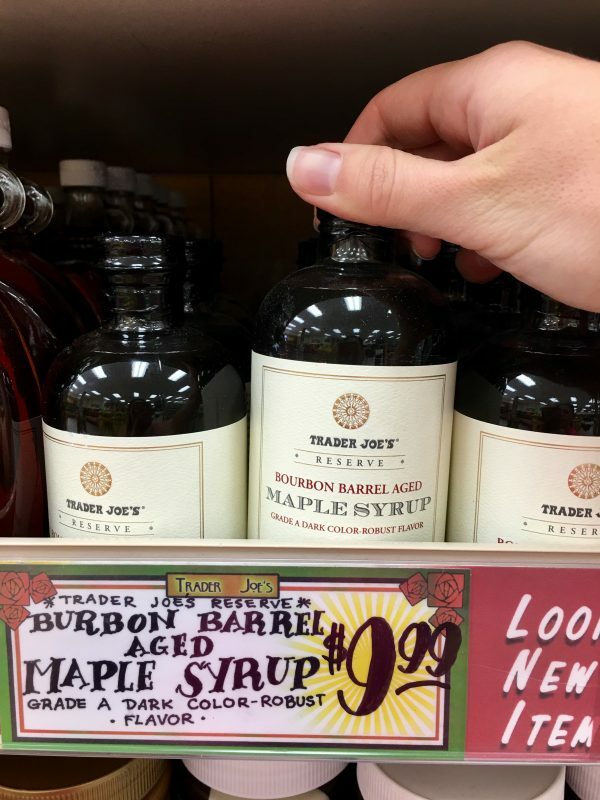 So yes, most of what I buy at Trader Joe’s comes in a box, bag or bottle. If you’ve heard that TJ has a cult-like following…it’s true. Their dozens of pumpkin goodies during the holidays is enough to convert any skeptic. 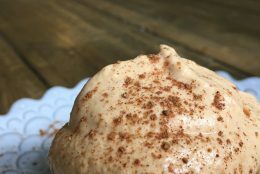 I’m not featuring pumpkin mania here because I want you to see what I eat throughout the year. And I don’t want to make you too jealous if you don’t have a TJ near you. Anytime I make a vegan dessert, I use this to make whipped cream. 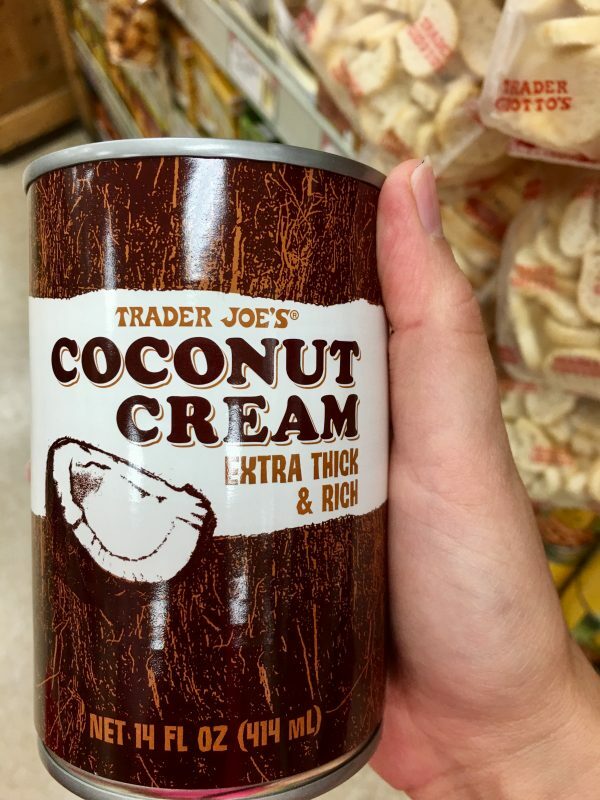 It is absolutely delicious and never fails to create a thick luscious cream. 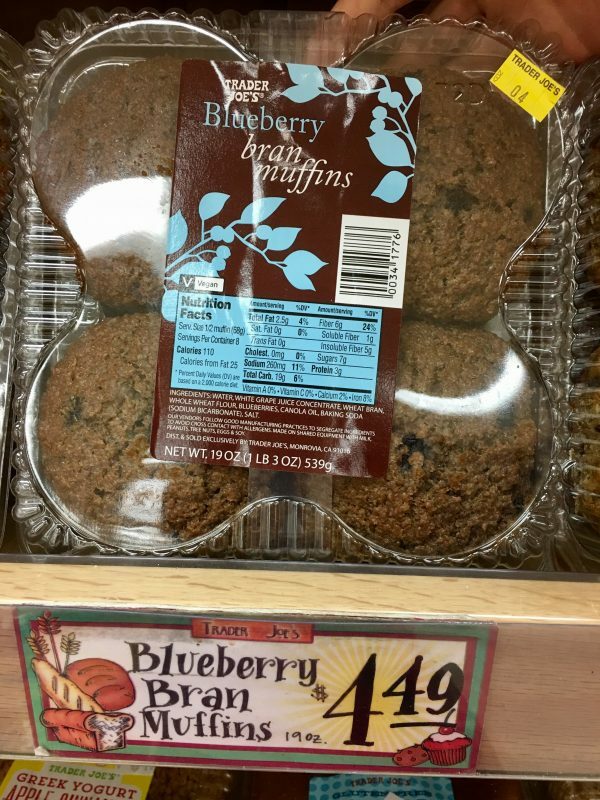 My favorite muffins!! Made by Zen Bakery, I used to pay $6 at Whole Foods for these. I love eating these on workout days for delicious and nutritious carbs. Great for high heat cooking. 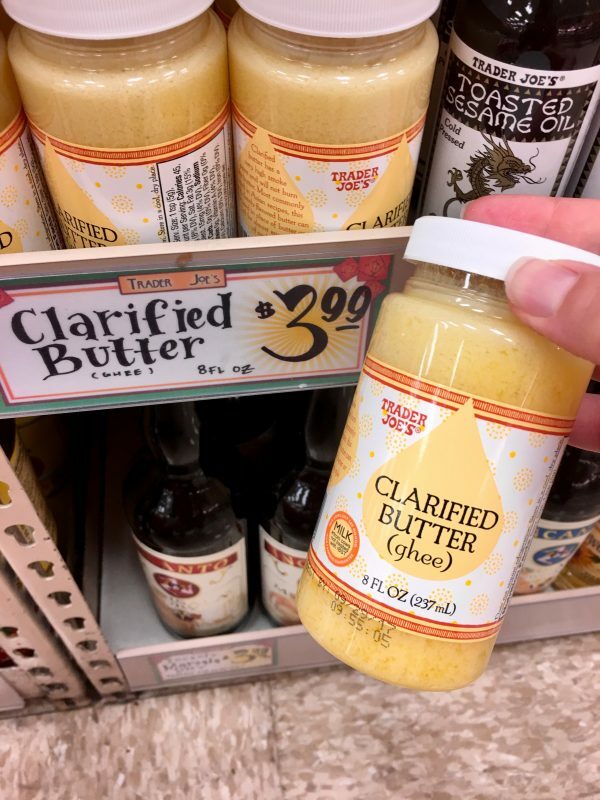 My husband used to burn butter trying to make stovetop popcorn so I handed him this ghee for delicious unburnt buttery popcorn. Another product that I used to pay a lot more moola for. 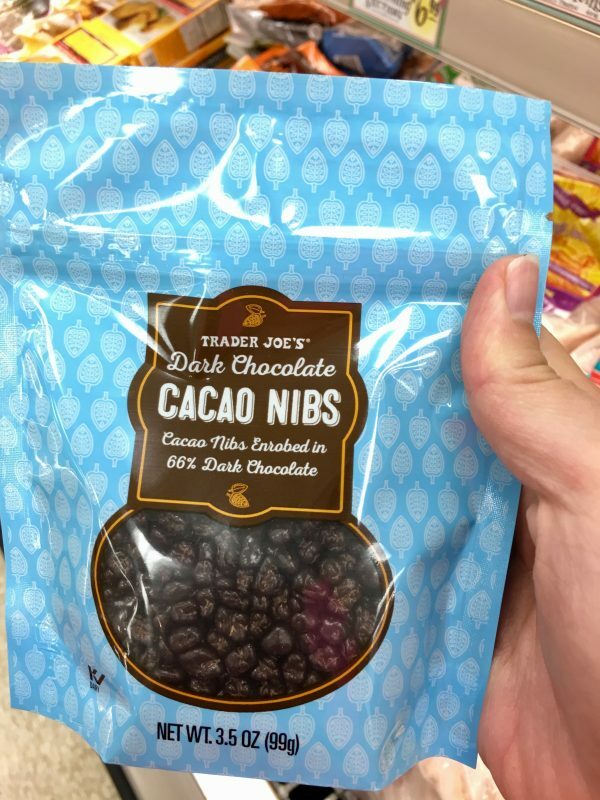 These are great for when I want chocolate and a crunch. They are SO satisfying! Go big or go home. If you’re going to buy maple syrup, get this stuff. Oh, and ignore the misspelling on the sign. 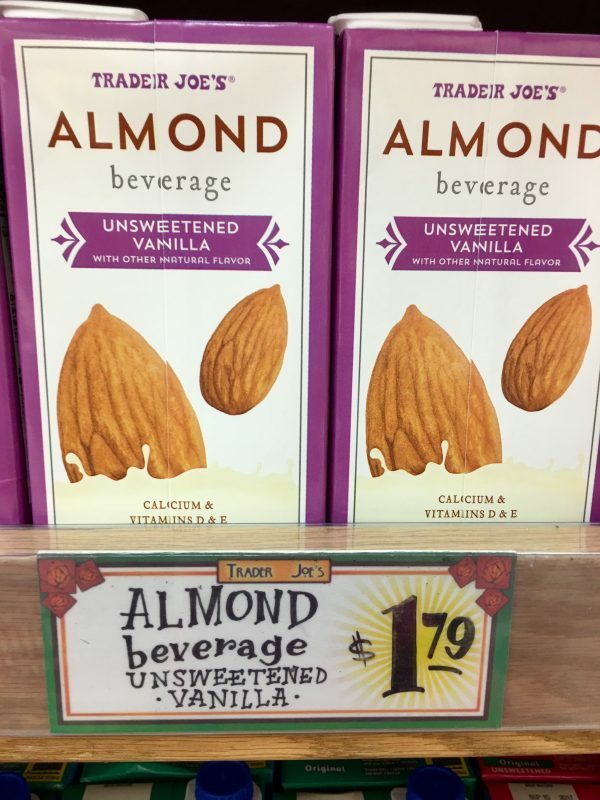 Technically almond “beverage”, I like drinking a cold glass of this by itself or sweetened with a little stevia. I also use this in some recipes or when I make oatmeal. Did you notice the great price? 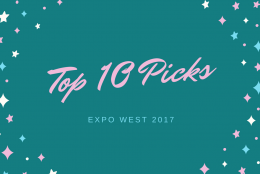 Similar to one of my top picks from Expo West 2015, these are “moreish” as Jamie Oliver would say. It is really REALLY hard not to eat the whole bag in one sitting. So, I don’t buy these too often though I get giddy when I do. What?!?!?!?!?! I know. My thoughts exactly. 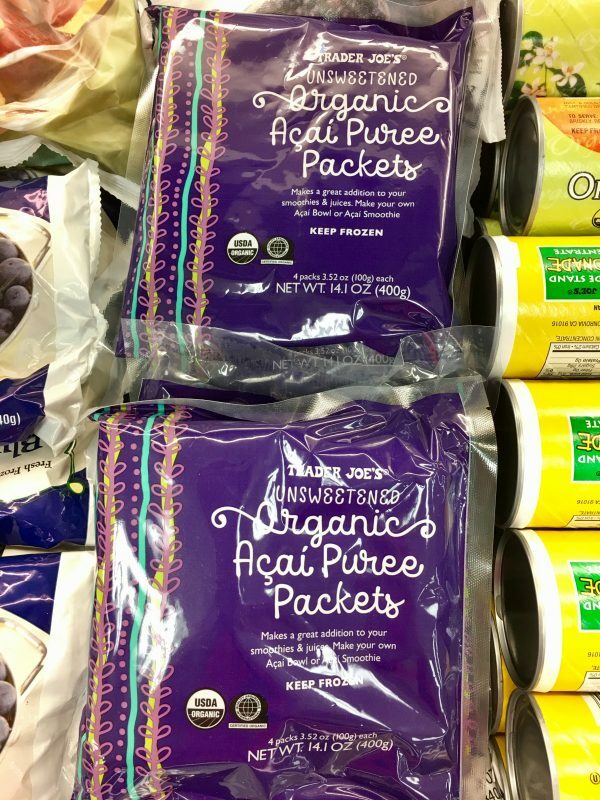 Instead of paying $12 for an acai bowl, you can make your own. They are only a little over $4 for a pack of 4. That means ridiculously affordable antioxidants for all! 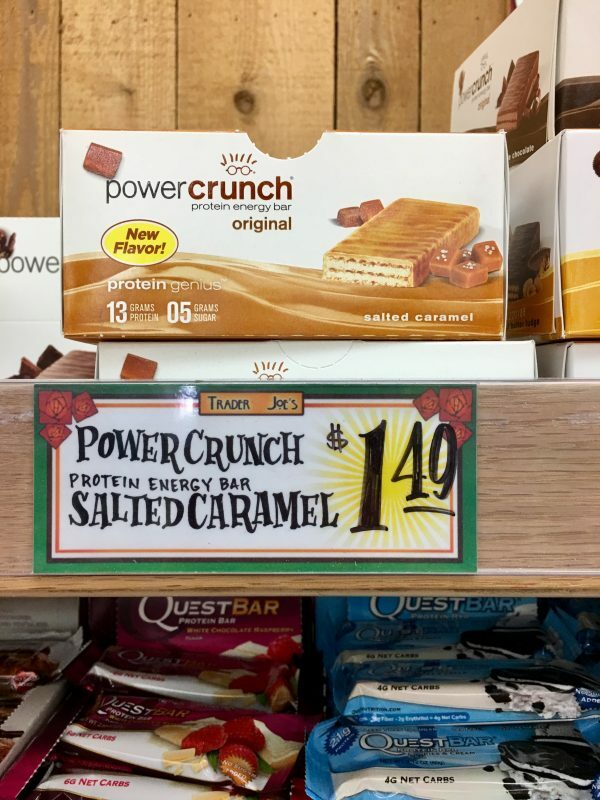 Clearly not a TJ brand, this is the best price on Power Crunch bars and they carry my favorite flavor! I like these when I’m traveling, out of my normal routine or need an easy afternoon snack to throw in my purse. For when I’m feeling lazy or don’t have time to roast my own. A watched potato never roasts. Easy, delicious and the only ingredient is sweet potatoes. 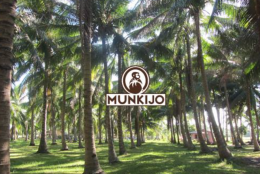 What are your favorite products from TJ? Thanks for sharing! We’ve only had a Trader Joe’s for about a year. I need to go more often. Those broccoli florets and protein bars look perfect.